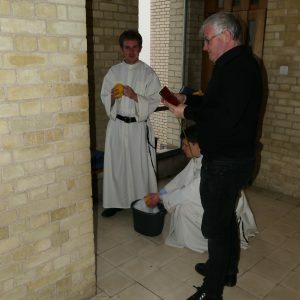 Cleaning the chapel; preparing for Lent. 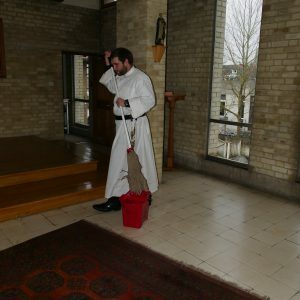 Home > Blog: Life in the Novitiate > Cleaning the chapel; preparing for Lent. 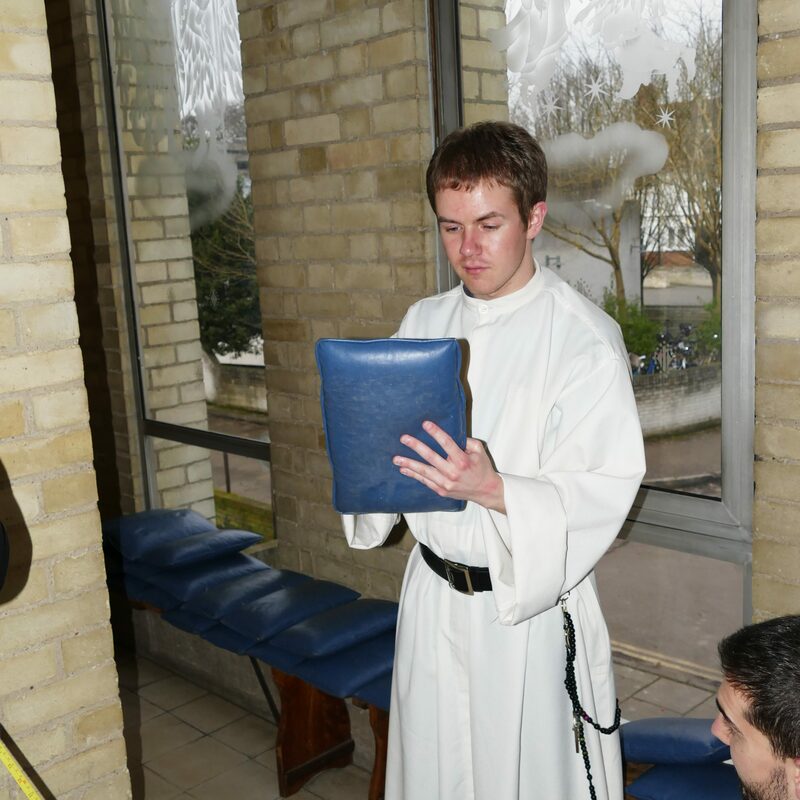 Every Saturday, the novices spend an hour or so engaging in community work. This usually involves cleaning some of the community spaces in the priory, gardening or taking things to the local tip. Just before Lent began, we decided to clean the upstairs chapel. After removing everything from the chapel, some of us swept and mopped the floor, while others cleaned the kneelers and dusted the furniture. It was a good opportunity to prepare for Lent as we pondered the ways in which God will gradually purify us over the next 40 days as we try to be faithful to our Lenten practices of prayer, fasting and almsgiving. Please continue to pray for us and know that we are praying for you.